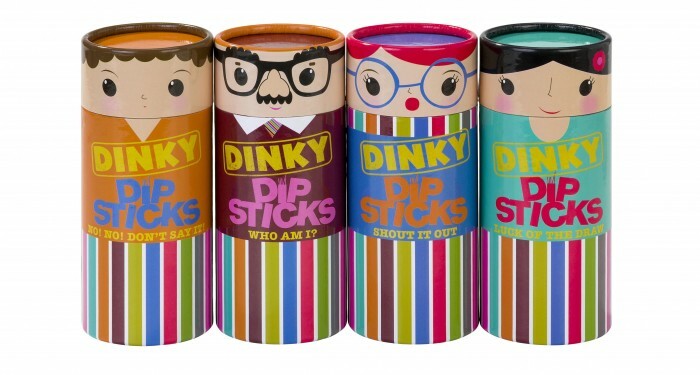 Test your knowledge and pit your wits against opponents in these quick-fire quiz games, where all the fun is contained in a cute little take-anywhere box filled with dinky dip sticks! The cute and quirky packaging of the cylindrical tubs is enough to make these games desirable from a design perspective. 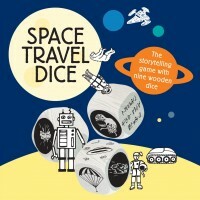 The fact that they are ingenious, challenging and fun for all ages surely makes them a must-have for every family. A mash-up between traditional word games and a trivia quiz, each game tests players thinking and reaction skills, whether it’s having a way with words or being quick on the draw with pen and paper. The compact storage tubs make these games perfect for fun on the go: pop them in your bag and you can play on the bus, at the airport, in a waiting room, by the campfire or around the table for some after-dinner sport! There are four different games in the series that can be enjoyed by any number of players – the more, the merrier. Each time a player gets an answer correct, they get to keep the dip stick: the players with the most dip sticks is the winner. Who Am I? Players pick a stick and describe in words or do an impression of who you are to other players – it could be anyone from Dr Who to Prince William. Shout It Out Players pick a stick and ask others to shout out the correct answer. It could be a fruit beginning with A or a country beginning with F.
No! No! Don’t Say It! Players pick a stick and describe the word written on without saying the next three words. For example, you might have to describe ‘banana’ without saying: yellow, fruit or eat. Recommended for ages 7+, some of the guessing categories may be trickier for younger players, but it is a great way to develop vocabulary and quick thinking skills. However, if playing with a younger child there’s nothing to say you can’t switch “don’t say it” to “do say it” giving younger children simple clues to find the word. 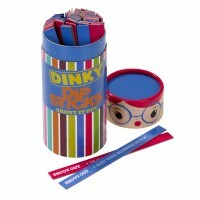 As with any general knowledge themes, some of the dip stick challenges will be more challenging. Our 10-year-old tester, for instance, didn’t know who Craig Revel Horwood, the judge from Strictly Come Dancing, was, but then his grandad wasn’t familiar with Teenage Mutant Ninja Turtles w]either, so it tends to balance out. And of course part of the fun is in the luck of the draw and which dip stick is picked! With older children, you can make the game more challenging, for instance, in Shout it Out, you could ask for two or three answers rather than just one according to the player’s ability. Keep in Mind… There are 80 dip sticks in each tub, with two questions apiece, giving plenty of variety of questions. But keep the lid on tightly: 80 dip sticks is quite a lot to pick up if dropped! What Kids Love Picking out the cute little dip sticks from the tub and the challenge of answering, that can include funny clues, charades and play acting. What Parents Love The back-to-basics simplicity of the games – and no batteries or technology required: just good old-fashioned brain power and quick wits. It’s a really lovely game for different generations to play together, producing lots of giggles even – or especially – when things go a bit wrong. Designer Details Bursting onto the party scene in time for the Millennium with just eight products, Talking Tables now offers more than 50 in-house designed and developed ranges. The London-based team conceives and creates original party ideas, with a dedicated joke, riddle and trivia writer to help keep the family entertained and the table talking. With games and trivia from £3, Talking Table’s collection also includes cardboard pop-up cake stands, napkins, paper plates, paper decorations, photobooth props, ice fountains, sparklers, scatter and games, as well as pretty gifts at purse-friendly prices.